Reports from southern Africa confirm that Air Zimbabwe is grounded and unlikely to get airborne again whilst the present regime remains in power. Any agent offering seats on the carrier, which was banned from Heathrow last year, should be treated with the utmost disdain. Workers from the national carrier have not received salaries since September 2011 and are owed over US$35m. Acting CEO, Innocent Mavhunga, confirmed to the state media last Thursday the indefinite suspension of all flights, blaming it on cash flow problems. “We failed to resume flights as planned on Monday as we still have challenges relating to payment of salaries. Part of our workers did not report for duty. We are now grounded indefinitely,” Mavhunga said. IHG (InterContinental Hotels Group) has announced the opening of the Holiday Inn Express Atlanta Downtown. The 11-storey, 130-room hotel at 111 Cone Street Northwest, which had previously been the Centennial Inn Atlanta Hotel, underwent a US$7m conversion that included enhancements throughout the hotel. The newly acquired property is just a short drive from the Hartsfield-Jackson International airport and within walking distance to several major corporations and universities, including Coca-Cola, Georgia-Pacific, SunTrust, Turner Broadcasting, Southern Company, Georgia Institute of Technology and Georgia State University. It is also near many downtown attractions including the Georgia Aquarium, World of Coca-Cola, Underground Atlanta and the Georgia Dome. Other attractions just a short drive away are the Martin Luther King Jr Museum and Zoo Atlanta. Guangzhou, China’s third largest and most industrial city, is to be joined to London for the first time. Skyteam member China Southern Airlines will (from 6 June) offer a three times per week two-class Airbus A330-200 Heathrow service with a flight time of around 10 hours. China Southern is already established in western Europe with services from Guangzhou to both Amsterdam and Paris Charles de Gaulle. The airline is listed on the Hong Kong, Shanghai and New York Stock Exchanges. It currently operates around 350 aircraft mainly Airbus and Boeing, plus a number of Embraer E series on regional routes. Delta Air Lines is to drop its Gatwick – Atlanta service from 17 April. It first flew the route in 1978. This leaves Air Transat (Toronto all year around plus summer only destinations), charter operator Sun Country (Minneapolis-St Paul) and US Airways (Charlotte) as the only North American airlines now established at the airport. At the same time Heathrow – Atlanta goes twice daily. This summer Delta will operate nine daily flights out of Heathrow this summer, including services to Atlanta, Boston, Detroit, New York-JFK and Minneapolis-St Paul, all flown by 246-seat 767-400ER aircraft with the new full flat-bed product in BusinessElite plus Economy Comfort and Economy. Dubai is to have the world’s tallest dedicated hotel later this year when the 1,608-room JW Marriott Marquis welcomes it first guests. It will open in two phases, with the first section featuring 807 rooms and numerous restaurants and lounges. At a height of 355m (1,164ft), the property is just 26m (85ft) shorter than the Empire State Building in New York. Other hotels reach even further into the clouds but they are always part of multi-purpose buildings. In addition to serving the luxury business traveller, the hotel is targeting the lucrative and increasingly important MICE (meetings, incentives, conferences and exhibitions) market, which, according to Marriott, is currently not served in Dubai. To give this market some context, the United States’ MICE segment, which will be one of the key targets of the JW Marriott Marquis Dubai team, contributes US$106bn to that country’s GDP – higher than automotive manufacturing (US$78bn), performing arts/spectator sports/museums (US$71bn) and information and data processing services (US$76bn). 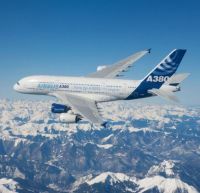 The Airbus A350 programme took a significant step forward last week with the first flight of the Rolls-Royce Trent XWB engine on the A380 flying test bed, replacing one of its four Trent 900 engines. With UK unemployment climbing again Virgin Atlantic has announced a recruitment drive for 500 cabin crew. The jobs will be based out of Heathrow and Gatwick airports and new recruits will be taking to the skies on Virgin Atlantic’s new routes of Cancun and Vancouver plus other destinations on the airline’s long haul network including New York, Barbados, Las Vegas and Shanghai. Also joining the airline during the year are seven further Airbus A330s. Last year the airline took delivery of its first ever twin jets, configured 59 Upper Class and 255 Economy. Virgin Atlantic recently announced a £100m investment in its Upper Class product which will commence on its London to New York JFK morning flight before rolling out across all aircraft joining the Heathrow fleet over the next three years. 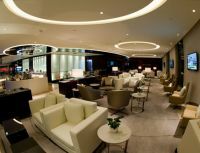 The onboard enhancements to the initial New York service will be instantly supported by a new multi-million pound Clubhouse at John F. Kennedy airport. 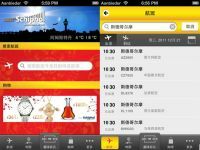 Schiphol and Charles de Gaulle airports have launched the Chinese version of the ‘Schiphol App’, an application designed to navigate passengers through the airports and translate signposting into Mandarin. The app, developed in association with Aéroports de Paris, can be downloaded by both iPhones and Android telephones. The app provides passengers with information on product offers, flights, public transport, baggage and medical services, as well as translating maps of the departure lounges. Above all, passengers can use their Smartphone camera to translate the airport signs directly into Mandarin. Passenger numbers at Heathrow are running at record levels, 69.4m for 2011(+5%) and further growth limited to aircraft size increases and more efficient use of runway capacity. Colin Matthews, BAA Chief Executive, has urged Ministers to consider every possibility with its imminent strategic review. BAA last week reported a reduced loss from £316.6m in 2010 to £255.8m for 2011 as it claimed progress with its efforts to persuade the Government to reconsider the case for a third runway at Heathrow, the land involved for the most part still owned by the company. Under consideration is yet another appeal regarding the sale of Stansted Airport which lost 2.8% of its business last year. With passenger figures down to 18m there is the prospect of further haemorrhaging as some business transfers to easyJet’s new Southend operation. Presently about 80% of Stansted passengers are Ryanair customers. 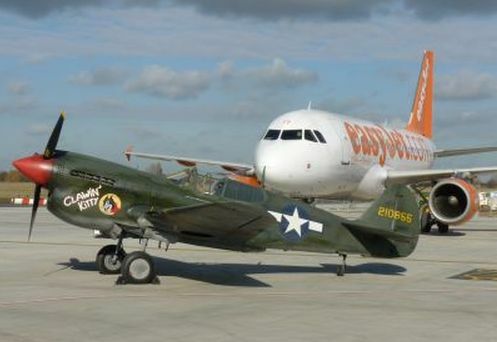 Gatwick Airport (LGW) and easyJet have celebrated ten years of operation. 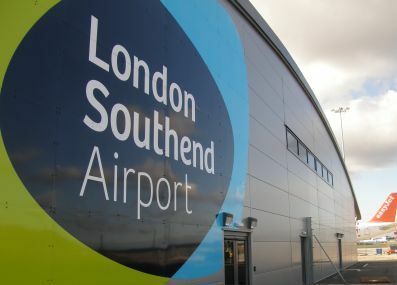 In the decade since the Barcelona inaugural the Luton-based carrier has overtaken both British Airways and Virgin Atlantic as the largest operator out of the South London airport. easyJet now operates 50 aircraft flying around 300 flights a day to and from Gatwick, with a choice of 94 destinations throughout Europe, the Middle East and North Africa. Since first taking off at LGW, easyJet has flown more than 70m passengers from the airport. Last Friday (24 February) it celebrated the milestone with commemorative gifts and entertainment for passengers checking in for flights throughout the morning. Cheese might not be something that one associates with Japanese cuisine but the country of the rising sun has many established dairy farms throughout the country, notably in Hokkaido with its cool climate and vast farmlands, and also where the early history of cheese-making in Japan began some 140 years ago. As this initially-European culinary culture gradually began to find its place among the Japanese people, production of cheese in the country also started taking root, mainly with pasteurized milk used to create mild-flavoured cheese. Today, to satisfy a more diverse palate for all kinds of cheese, Japan produces a wide variety of world-class quality. With this in mind from 1 March Japan Air Lines is inviting customers travelling in First and Executive Class to discover the uniqueness of Japanese cheese and through it, also the richness of Japanese culture. 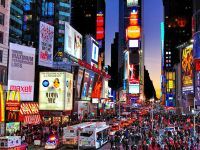 Apple Core Hotels has announced the soft re-launch of Broadway @ Times Square Hotel in New York. The hotel described as “budget friendly” will be fully operational by July. The property is actually on 46th Street between Broadway and Sixth Avenue, four blocks north and a five-minute walk. Apple Core has four other hotels in the midtown Manhattan area. 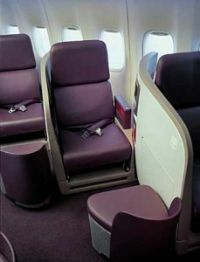 The industry changing Boeing 747 will mark its departure from Singapore Airlines fleet on 6 April 2012 with two special flights. Flight SQ747 from Singapore to Hong Kong and SQ748 from Hong Kong to Singapore will be operated with the B747-400, replacing existing flights SQ860 and SQ863, which are normally operated with Airbus A330-300s. In addition to more than 300 commercial passengers, on board will be employees who have worked on the aircraft throughout its storied history, as well as a group of underprivileged children and media. “Saying farewell to the Queen of the Skies will not be easy. Over more than 38 years, the B747 has played an important role in helping SIA become the global airline that it is today. It enabled us to extend our network around the world and introduce innovative new products and services,” said SIA CEO, Mr Goh Choon Phong. 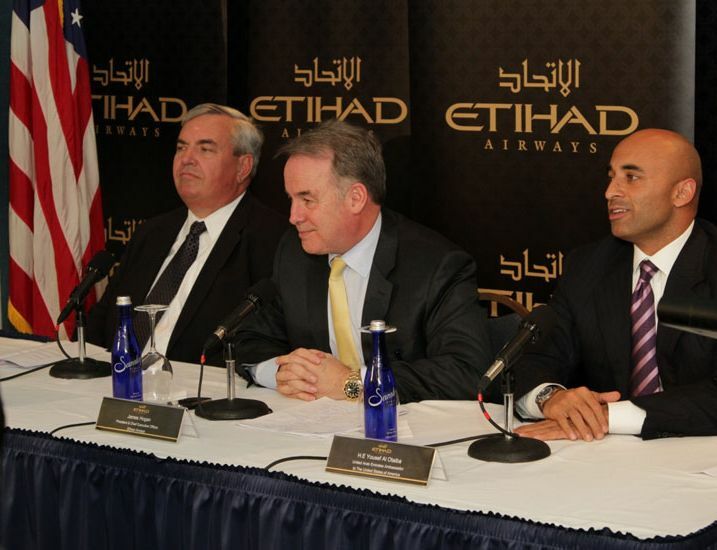 Etihad Airways has announced the launch of non-stop daily flights to Washington, DC, the airline’s fourth destination in North America, from 31 March 2013, subject to regulatory approvals. 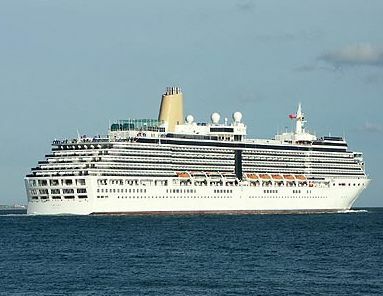 It will compete with United Airlines who have an established daily service out Dubai. James Hogan, Etihad Airways President and Chief Executive Officer, said: “No other UAE carrier is offering non-stop services between DC and the UAE, so this capital-to-capital link is a huge opportunity for Etihad Airways.” Last week, the US Department of Commerce released data showing that total trade volume between the US and the UAE rose to US$18.3bn in 2011, a 43% increase from the previous year. The schedule allows maximum connectivity to key markets in the GCC (Gulf Cooperation Council), Indian Subcontinent and South East Asia. The 14hr plus non-stop flights will be operated by a three-class A340-500 aircraft. Each flight will offer 12 Diamond First Class, 28 Pearl Business Class and 200 Coral Class Economy seats, for a total 3,360 seats per week. The iconic building that once housed Amsterdam's premier music conservatorium has completed a sophisticated transformation into a most unique and fashionable hotel. The 129-room Conservatorium Hotel Amsterdam is claimed to combine luxury, lifestyle and heritage with an exceptional level of personalized service. The property, which is part of the new luxury hotel collection The Set, pays tribute to the Amsterdam Conservatorium’s legacy as soothing classical music selections echo through its vaulted ceilings. 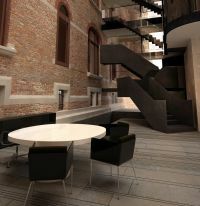 First designed by revered Dutch architect Daniel Knuttel at the turn of the 19th century, the Conservatorium’s well-known structure served as a major bank for 77 years before becoming Amsterdam’s premier music conservatory from 1983-2003. The original lofty ceilings have been left intact in almost half the rooms and transformed into duplexes with large windows and exposed structural beams. The courtyard is covered entirely in glass creating a contrast between the old and the new, between the classic and the modern. 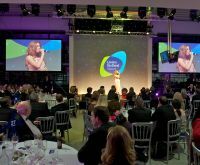 Now part of the Reed Exhibition empire (WTM) London’s Business Travel Market is quickly moving ahead with plans to make its fourth annual show at ExCel Centre the biggest and best yet (13-14 June). Most significant is a raft of additions to its Advisory Board as well as the Education Committee. Anne Godfrey, GTMC Chief Executive; Chris Crowley, BCD Travel and immediate past President of ACTE; Richard Oliver, Qatar Airways’ Country Manager UK & Ireland; Darren Williams Eurostar’s Head of Global Sales; and Julia Surry from Airplus International all join the Board. 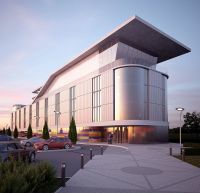 Reuters News Agency reports that BAA, the Spanish owner of Edinburgh Airport, has whittled down the shortlist of bidders to four and will accept final offers in early April. 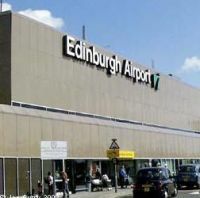 Edinburgh was the surprise choice by BAA when it was forced to sell one of its two lowland Scottish airports by the Competition Commission. According to sources with knowledge of events Global Infrastructure Partners (GIP), JP Morgan Asset Management and consortia led by Carlyle Group and 3i have made it to the second round after a longer list was cut down in recent days. "They will be taken onto due diligence next and final offers are due in by early April," said the source. The Reuben Brothers have acquired the London Heliport in Battersea from Andrew Davis. 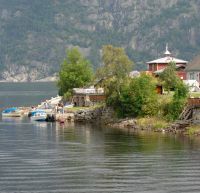 Mr Davis was formerly the owner of Von Essen hotels. The London Heliport has been in continuous operation since 1959, providing essential service to the business community and emergency services, such as the Air Ambulance (HEMS) and Police Air Support units. 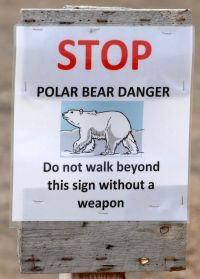 It benefits from an exemption to the no-fly zone during the Olympics, offering an access route to the 2012 Games. It is limited to 12,000 movements annually and also suffers from being on the South side of the River Thames with difficult road access to Westminster and the City. A ferry to Westminster pier has been envisaged from time to time but never implemented. 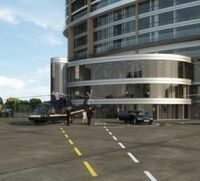 Should plans to develop the Battersea Power Station site evolve the heliport would be in a prime position. The Reuben Brothers also own Oxford Airport where PremiAir Aviation, Battersea’s busiest user, and part of Mr Davis investment portfolio, has a major base. American Airlines is to add a fourth daily flight between Heathrow (LHR) and Dallas/Fort Worth (DFW) starting on 14 June. The six times weekly service will be operated using American’s two-class Boeing 767-300 aircraft with 219 seats, including 28 in Business Class. Including the daily British Airways service – the oneworld carriers American Airlines and British Airways will now offer five daily frequencies between DFW and LHR. On 19 May 1982, 30 years ago, American Airlines began its first transatlantic operation at Dallas/Fort Worth with a daily flight to Gatwick. The London service was increased to three daily flights, and in March 2008 was moved to Heathrow. Following entry into Heathrow, the joint business agreement with oneworld partner British Airways was implemented. 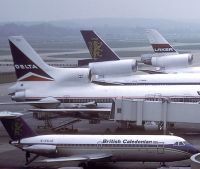 This allowed hundreds of connections at the Heathrow and Dallas hubs in both directions. With the Continental merger virtually complete (indications are that the technical reservations change-over is imminent) United Airlines is pushing ahead to offer consistency on its services together with cabin service enhancements. 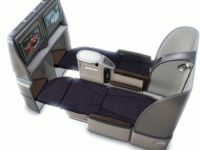 United is also rebranding its long haul premium cabin flights introducing United Global First, an international first class experience on three-cabin aircraft, and United BusinessFirst, the international business class experience on two- and three-cabin planes. 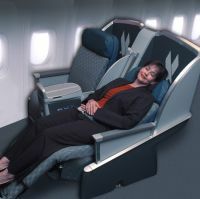 For customers flying United in North America, between North America and Central America, between North America and northern South America, and on some flights within Asia and the Pacific islands, the airline will continue to offer United First and United Business premium cabin services. Beginning 3 March, United Airlines customers on three-cabin aircraft will experience United Global First, with a higher level of privacy and comfort, a flat-bed seat, priority airport services and more-personal attention. The in-flight catering menus have been revised to ensure consistency throughout the network. On United Express flights longer than two hours, customers seated in the premium cabin can enjoy complimentary snackboxes.